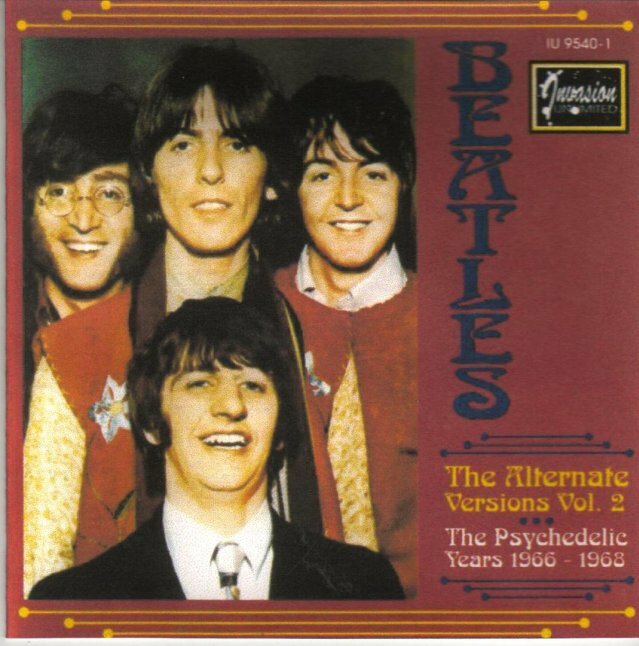 This is a second of two CD's offering the best alternate and unreleased studio-outtakes currently available, by stroke of luck, on the underground Beatles-market. In most cases these takes were copied directly from the multi-track master-tapes. 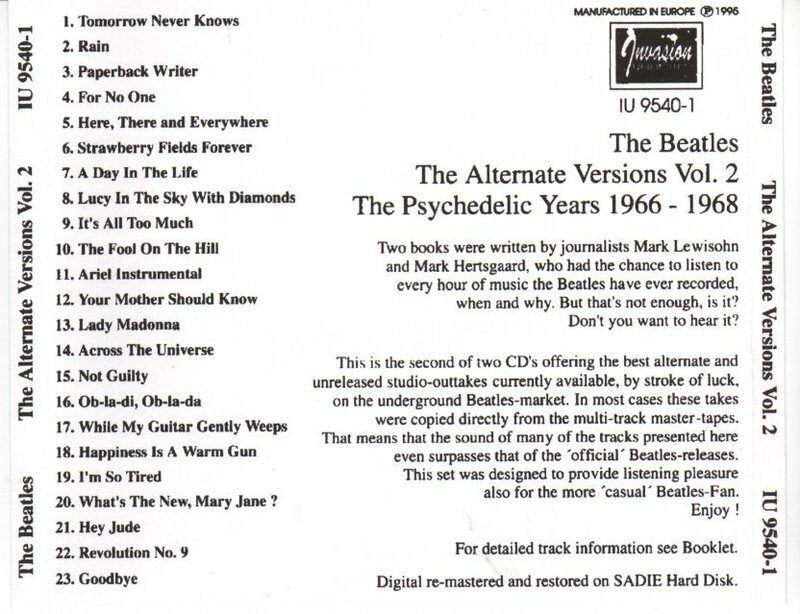 That means that the sound of many of the tracks presented here even surpasses that of the 'official' Beatles-releases. This set was designed to provide listening pleasure also for the more 'casual' Beatles-Fan. The Alternate Versions Vol. 2 0 out of 5 based on 0 ratings. 0 user reviews.